Ellovi Body Butter – Giveaway! I received a complimentary jar of body butter for review purposes. All opinions are my own. This is not a sponsored post. I’m back again this week with another preservative-free beauty product review and giveaway! But this one is all the more special to me because though the product is not made locally, it is made by a local. Huh? 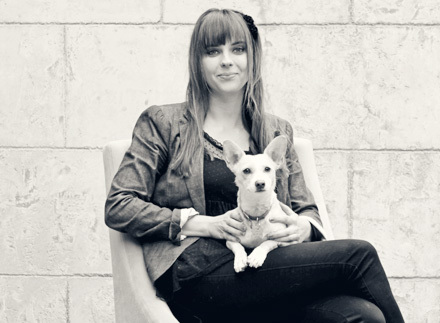 The company – Ellovi – was co-founded by former Glastonbury resident and fellow GHS graduate Kelly Winterhalter! 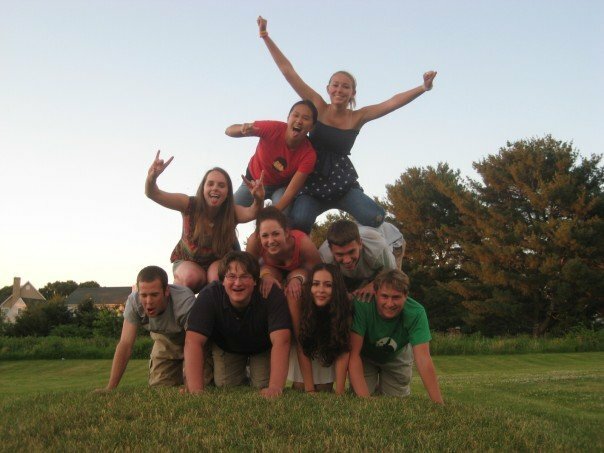 Yours truly topping the pyramid, and Kelly on the left with her tongue sticking out, at her high school grad party! Bristol Bliss Natural Products Giveaway! I received complimentary Bristol Bliss products for review purposes. All opinions are my own. This is not a sponsored post. When I visited Brilliant Options Wellness for my first massage, I noticed some cute and great-smelling soy candles in the studio. BOW owner Kellie informed me that they were a local product (hooray!) by Bristol Bliss. I contacted owner Mary Brown to find out more about her natural/organic candles and other beauty products. She was kind enough to offer me some samples for a review and giveaway blog post! I received bath salts, a candle, lip balm, and body scrub. Unfortunately I never take baths so I never got a chance to use the All-Natural Detoxifying Ginger Bath Salts. The ingredients list is short and sweet: epsom salt, sea salt, ground ginger, baking soda, essential oil. I am not a big user of natural beauty products (or beauty products in general…I just have a few basics) so these pronounceable ingredients are new to me – that’s a good thing!